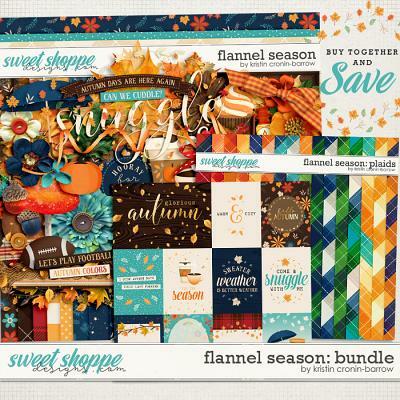 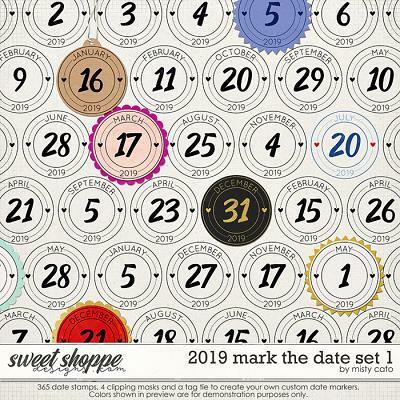 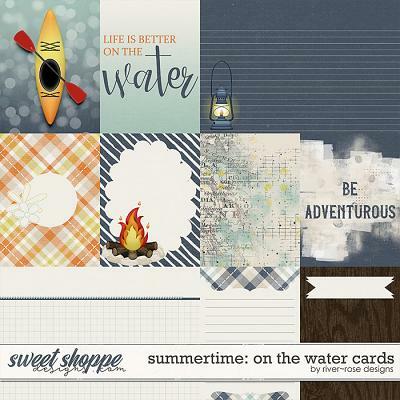 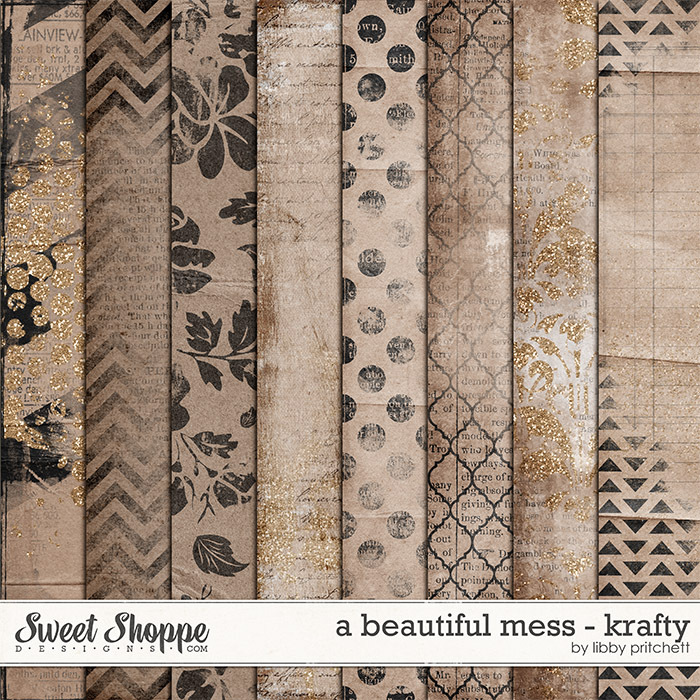 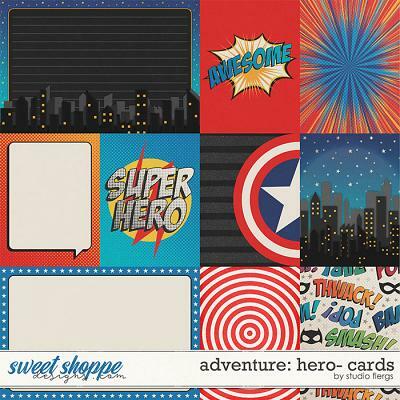 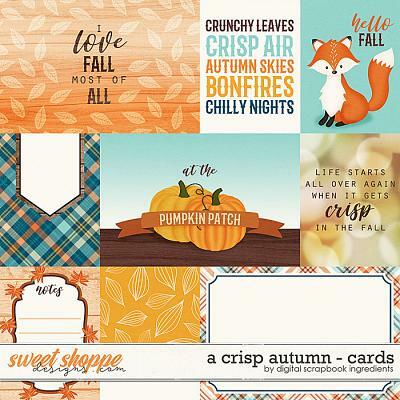 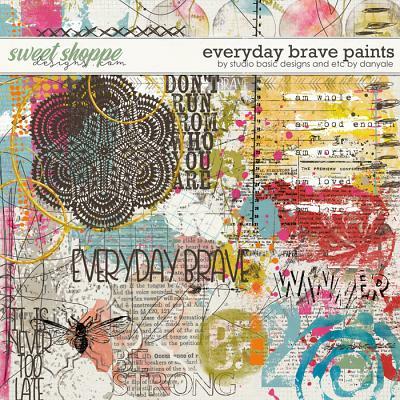 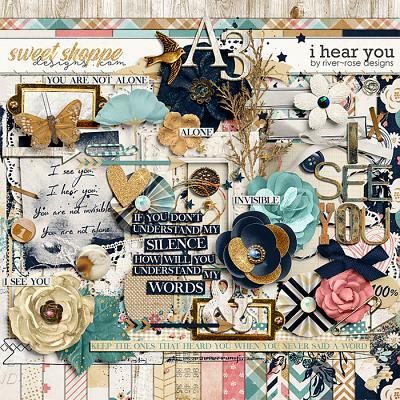 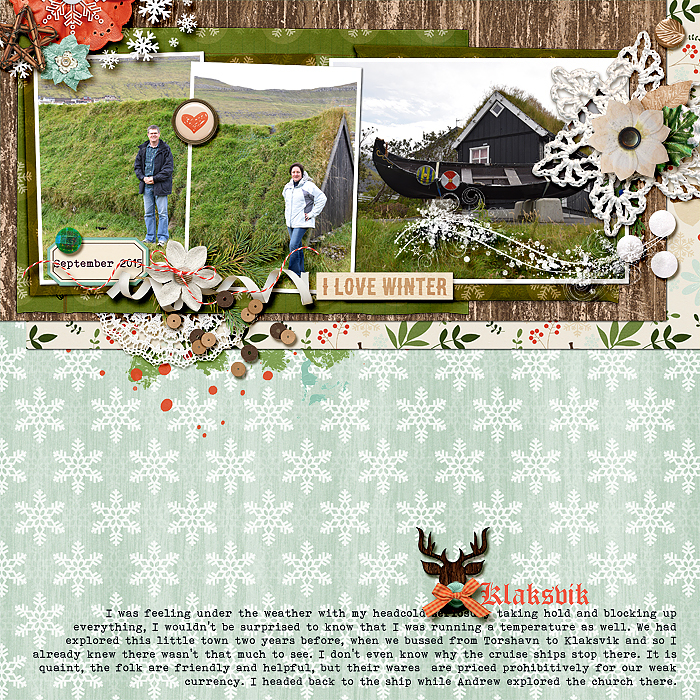 A digital scrapbook kit by Kristin Cronin-Barrow & Digital Scrapbook Ingredients. 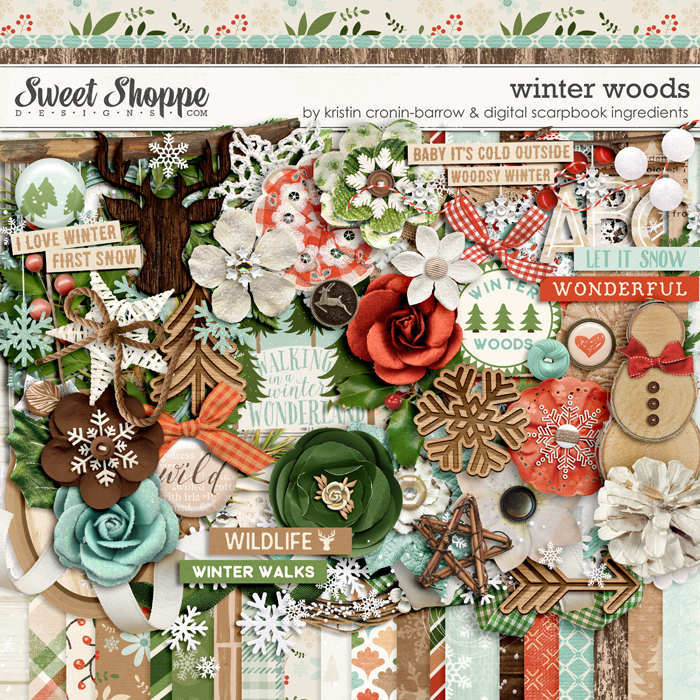 Smell the pine trees, feel the crunch of the snow under your feet...nothing is quite as crisp and refreshing as a walk in the “Winter Woods”! 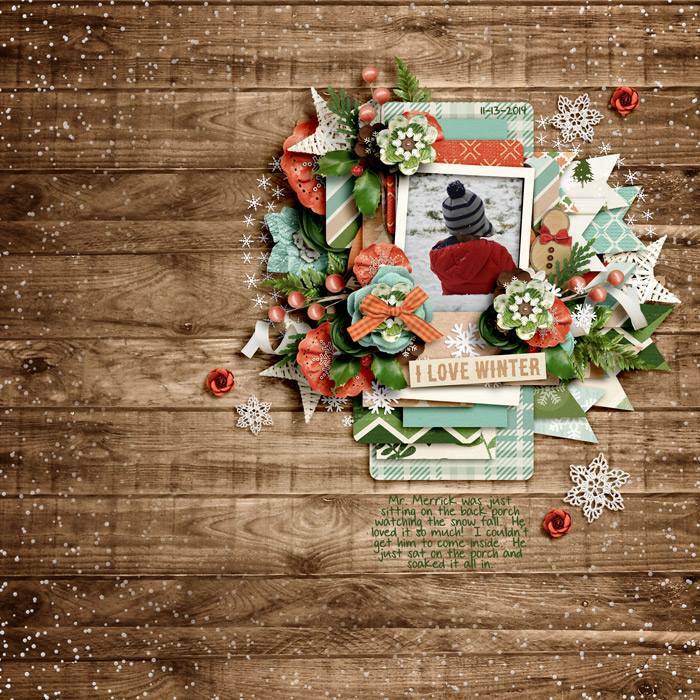 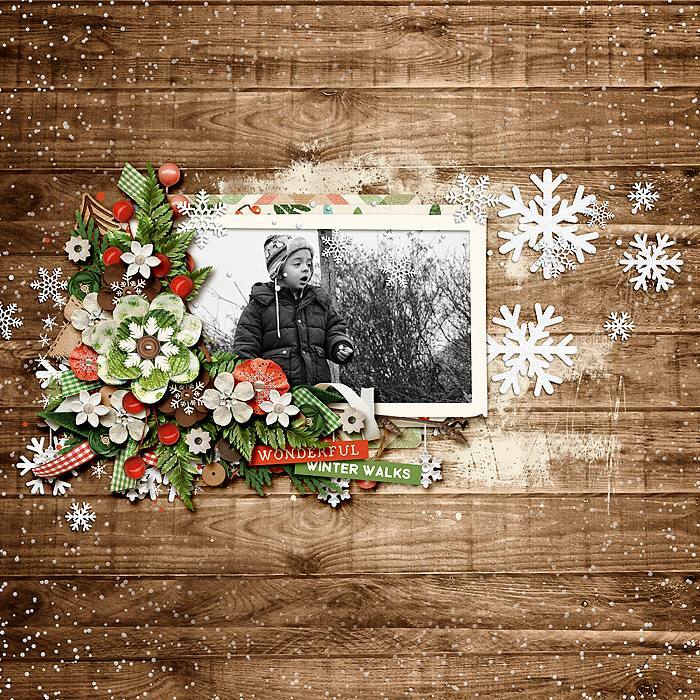 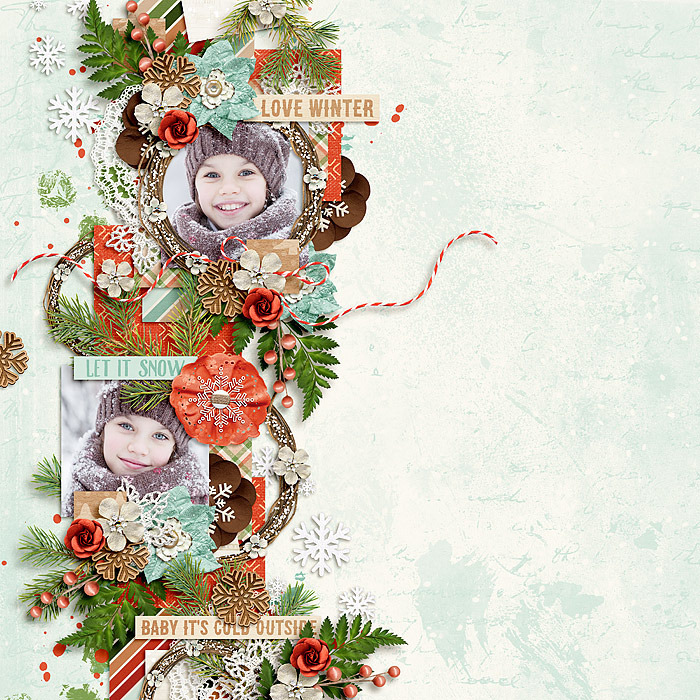 This beautiful kit, with muted colors, is perfect for Christmas photos, but is certainly not limited to it. 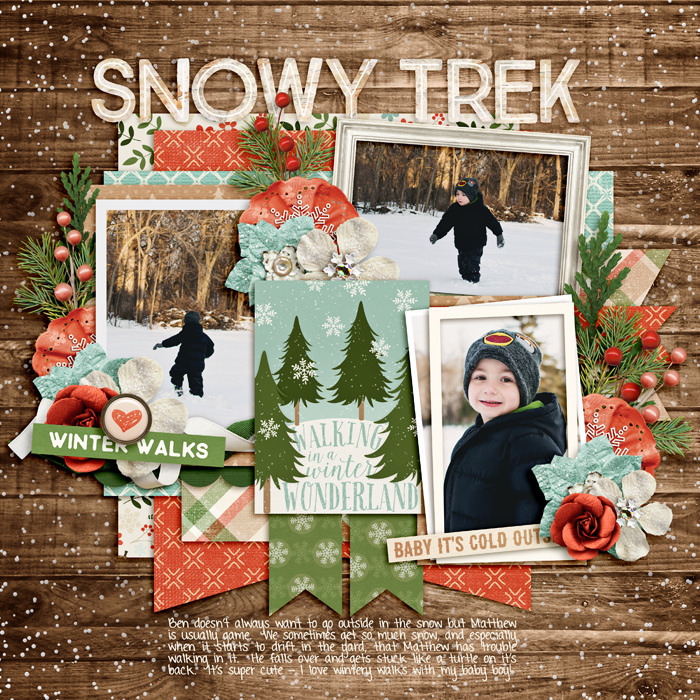 It will work well with photos of other wintertime activities, like snowball fights, parties, sledding and anything else your family loves to do. 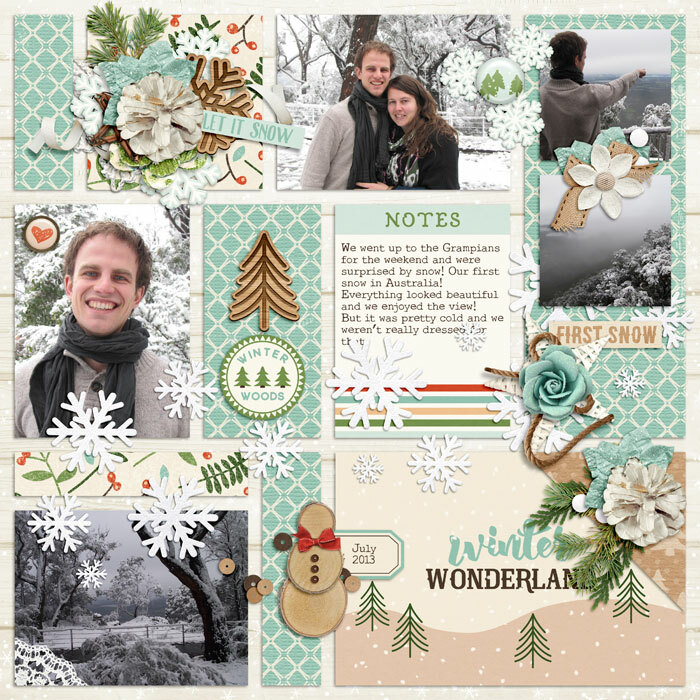 Elements include snowmen, stars, snow scatters, snowballs, pine boughs, flowers, wooden embellishments, tags, frames and more. 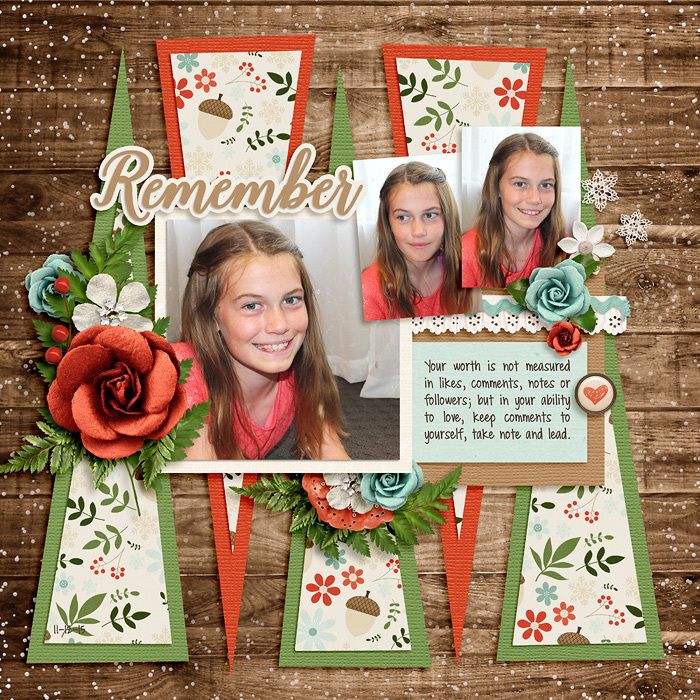 Enjoy time with family and friends this winter, then warm up while you scrap those lovely memories over and over!